622J. 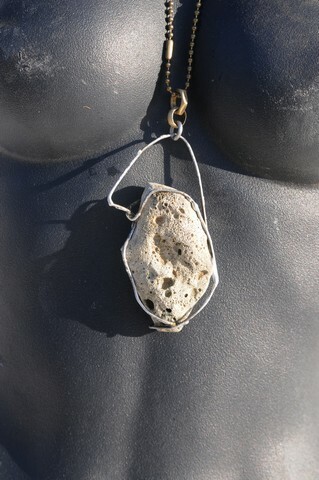 Magdal side 1-“Tower” or “Castle” within, an English sea rock silver brass and steel sculpture that can be worn. Size: 2.5” wide by 5” long. 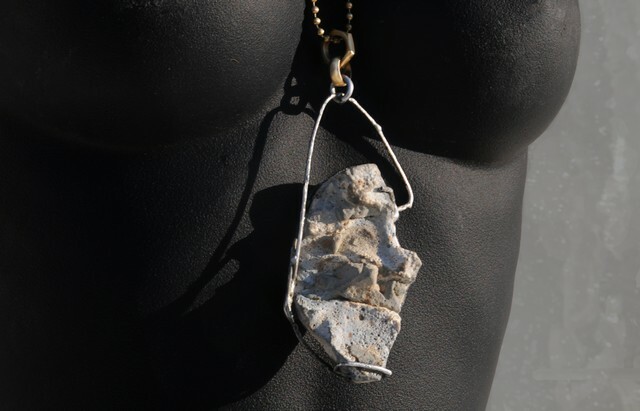 Material: English sea rock, silver, brass, copper. I used the photographic project Artic Melt to display the piece because of its perfect visual fit. contextualizing itself into other projects that I’m working on, like Artic Melt, indigenous peoples. looked the more could see. passive helpmeet to feminist icon to the matriarch of divinity’s secret dynasty. shape the story of the woman who befriended Jesus of Nazareth that rose from the dead. town on the coast of Galilee.